Right about an hour before sunset is the artist’s best light of the day. 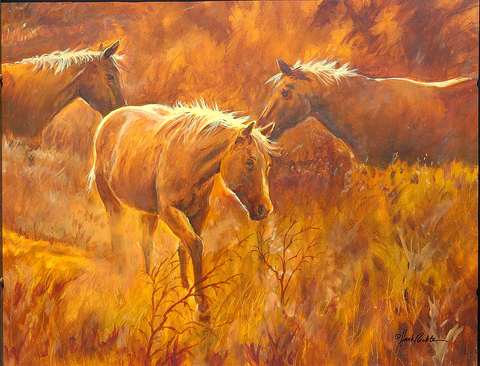 It’s an exciting moment when dramatically long shadows and highlights bathe everything in a spectacular wash of color. Horses seem docile and ready to settle down for the trip back to a comfortable oat bag and a quiet stall.